I am away from home and unfortunately I left my yoga mat behind. 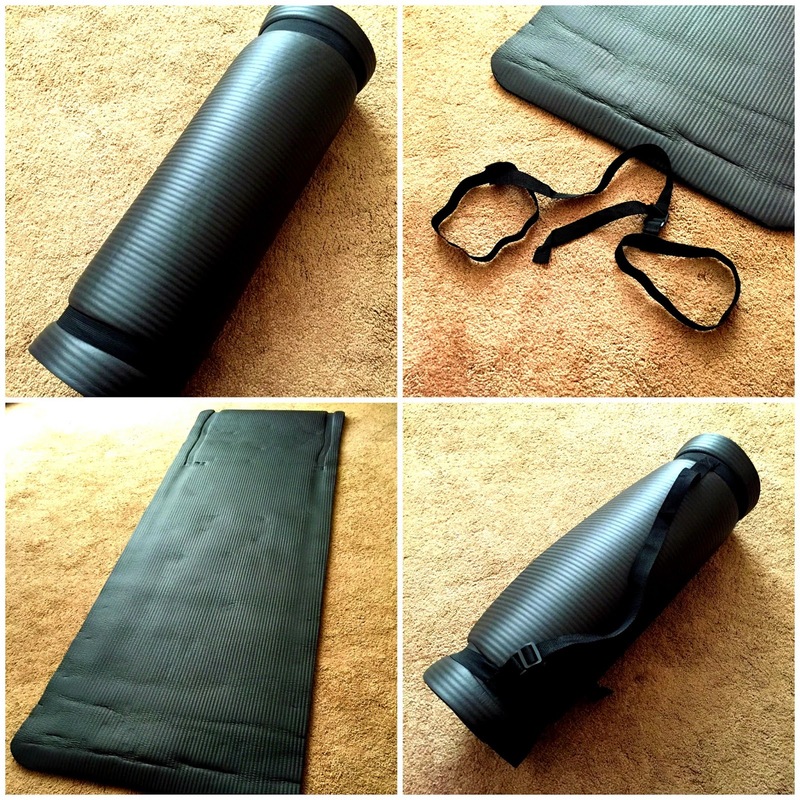 Not wanting to lose out on the benefits of yoga, I ordered the BalanceFrom GoYoga All-Purpose 1/2-Inch Extra Thick High Density Anti-Tear Exercise Yoga Mat with Carrying Strap from Amazon. This mat is super thick and provides that extra cushion between me and the hard floor. It's available on Amazon here and delivers to Lagos, Nigeria. I used to think that Yoga was a very easy exercise for people with a lot of time on their hands; but now I know that it is a complex exercise with many benefits for the body. Despite its complexity, it is relatively easy to start practising. There are a few yoga classes in Lagos, Nigeria and even if these are not practical for some working schedules, there are DVDs available for all levels. Yoga has become my go to morning exercise. Sometimes I do a 15-minute routine when I'm in a rush; or the 30-minute routine when I have abit more time in the morning before work. P.S. I met a man who was almost sixty years old but looked younger than forty. His secret - juicing and yoga. Do you practice yoga? What's your exercise routine?